Android not only produced by "The Giant" Samsung, Google and Amazon. Many tablets are manufactured by local firms using the Android operating system, sold cheaply to users with lower economic class. The success of tablets and smartphones based on the Android operating system dominate the world electronics market, not an event that occurs suddenly. When the market began to grow, then there will be a gap between the market of connected devices: tablet and PC Desktop. By optimizing the Android Tablet, you will not only improve the performance of your tablet, but also constantly monitored continuously. How To Choose Cheap Android Tablet ? Choose the best cheaps Android Tablet is difficult to do. Because now many Android tablets are sold at a low price. Two weeks earlier, Apple announced its iOS mobile operating system version 6. As confront competitors in the tablet market, Google launched the Nexus 7 then and is offered at a price of 199 USD. Same with the Kindle Fire, the Amazon tablet made that first rocked the tablet market because it is sold at a price of 199USD. Nexus 7 developed a cheap tablet trend initiated by the Kindle Fire. Today, competition in the tablet market is not only determined by technological superiority, but also by the low price. It's a blow for the iPad are sold with high prices and dominate the tablet market. Analysts predict a Nexus 7 "iPad killer", although Google's tablet in collaboration with Asus rely on Wi-Fi networks are not equipped for 3G network, and has only one camera on the front. 7 Google Android Tablet supports Near Field Communication (NFC) and became the first device using Google's Chrome browser app pre-installed. Google's features are included to increase the benefits of the Nexus 7 is the latest digital map Google Maps, which can be accessed without an internet connection. Advantages Nexus 7 compared to competitors in its class is the cheap price. Nexus 7 also feels lighter and easier to grip, weighs about 340 grams because it is designed from plastic material. In the size of 7-inch LCD screen, the Nexus 7 using IPS technology with the LED backlit display with a capacitive touchscreen. With a resolution of 1280x800 pixels with a density of 216 pixels per inch screen, the appearance of the image becomes sharp. Based operating system Android 4.1 Jelly Bean, Nexus 7 speed and performance to be one of the hallmarks of the Android tablet for dominance of the tablet market dominated by the iPad. Why Tablet PCs require the best antivirus? Because the virus in the form of malware or spyware are also evolving to become more intelligent and deadly. So the old version antivirus program will not be able to anticipate the latest viruses. Similarly, to protect tablet Android needed the best anti virus program. Compared to desktop PCs, Tablet PCs use much more connected to the internet. In the internet world there are many threats and viruses that are harmful to your tablet. To protect your tablet, at least the best antivirus needed, though that is free or trial. If using pirated antivirus, you get less tablet maximum protection. Because the pirated antivirus security features are not complete. Besides, you can not update the database every day. Update is a very important factor for the optimization of an antivirus program. It is not difficult to get antivirus, because the internet is quite a lot. Some antivirus products usually offer a free version, a trial or paid. Of course, the three versions are also different qualities. We suggest you try the antivirus trial before deciding to choose paid antivirus. Providers antivirus programs also continue to take development to provide antivirus latest version, so it can anticipate new viruses every time of entry into the world of the internet. If you use Android tablet, what is the appropriate antivirus, latest and match Android tablet? Avast is an anti-virus program developed by Alwil Software based in Prague, Czech Republic. Avast was first released in April 1988. Avast Pro Latest able to protect the tablet from viruses, malware, spyware and others. Avast security provided sufficient, because the database is updated daily. Kaspersky Anti-Virus has a real-time protection, detection and removal of viruses, trojans, worms, spyware, adware, keyloggers malicious tools and auto-dialers, as well as detection and removal of rootkits. It also includes automatic updates through "Kaspersky Security Network" service. McAfee Antivirus Enterprise is a proven antivirus and recognized. McAfee has the ability to clean up a virus-infected file without having to remove the file. But McAfee antivirus requires huge resources and can android tablet specification burden low. AVG Antivirus is one of the best antivirus for Android, Malware Protection feature, Av real-time scanner, backup assistant, task killer, malware protection, a backup assistan, app locker and local device phone locator wite. etc. Previously, AVG is also recognized as the best antivirus for Windows or PC. Antivirus is arguably relatively new but it has nice features, and become one of the best among the users of the Android operating system. It has a variety of features such as Lookout Security & Antivirus supports phone locator, real-time security, scanning apps, backup, restore, etc. Antivirus is specially made for android users. Dr.Web Anti-virus Light also comes with many nice features. To detect viruses, Dr.Web will investigate and try to find the source of the virus family and if there is. This antivirus also scan every file and scan apps are installed into the system. Android Tablet getting into various tablet market share. 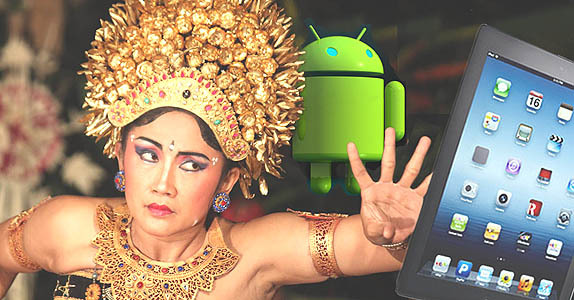 Android market in 2013 will expand because some vendors have also started using Google's open operating system. Android is not only used as a base tablets, smartphones as well - it could be a variety of gadgets linked to the Internet. Android Tablet expansion is not only done by giants Samsung, Amazon and the owner of Android Operating System, Google, but also carried out by electronics company that already has a name, such as Polaroid and Hewlett Packard. Although better known as a different brand of the product, at least - their tablet more easily attract the attention of consumers. Research Institute IDC (International Data Corp.) had predicted that tablet shipments in this year that use Google Inc's Android devices will exceed iPad. IPad shipments will control 46% of the tablet market this year, down from 51% last year. Meanwhile, the market share of devices using Android is expected to rise from 42% to 49% this year. According to IDC, sales of Android tablets that are smaller and cheaper, from Google to Amazon.com Inc. will increase this year. Along with the growing number of consumers, Apple's dominance will also decrease since the iPad first launched in 2010. Android tablet expansion not only in the secondary market that officially more easily monitored, the expansion of the same magnitude occurred in the market. Many tablets are manufactured by local firms using the Android operating system, sold cheaply to users with lower economic class. Android tablets are not just grab the iPad market, but also established a new market by selling tablets at a bargain price with a base Android operating system that is open and continuous update by Google, local producers do not need to pay for research and development. Their products will also never "outdated". Competition in the tablet market has begun to heat since early last year. When Amazon launched its first tablet, the Kindle Fire, Android-based 7-inch and priced at under 200USD, the price is lowered and the Apple iPad immediately announced to launch iPad Mini. Although it is not rational to follow the trend created by Amazon, because Kindle Fire it functioned as a device to download and shop at the online store Amazon. 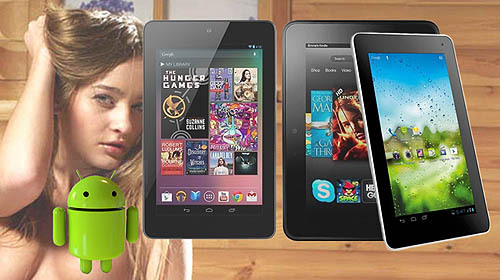 Gain on sale of Kindle Fire will be obtained from the customers who download content from Amazon. The era of cheap Android tablet marked with the number offered with a 7-inch tablet, priced at 150-250 USD. More and more vendors are using the Android operating system, as well as local vendors producing cheap Android tablet and create their own market. Of course, these conditions eroded the dominance of the iPad is sold with high prices and eventually Android will become the leader in the tablet market. Choose the best cheaps Android Tablet is difficult to do. Because now many Android tablets are sold at a low price. As an open operating system, Android is used to run the Tablet of the many brands produced by many electronics companies. Not only international-scale companies such as Samsung, Sony or Asus, Tablet also produced by new companies and local companies, because they also want to gulp advantage of the booming Android Tablet. When the tablet market dominated by Apple, no price tablet under $ 200. All Tablets on the market sold for referring to the ruling market price as the iPad tablet. Tablet market map change after the entry of the Kindle Fire was released by Amazon. Shop online internet site that has previously been successfully selling Kindle eBook Reader. Successful Amazon dominate the eReader market is supported by a collection of content that he had as a bookstore. Kindle eBook Reader is not sold as an electronic device, but tend to be sold as a device to download and read content that is sold in the store Amazon. Kindle is designed with e-ink technology and is sold at a low price, since Amazon took advantage of online store sales results. In the market for eBook Reader, Kindle can only be rivaled by the Nook. Because manufactured by Barnes & Noble, the company is similar to Amazon. Amazon tablet was first launched Kindle Fire, the Android-based customized. Designed with a 7-inch screen, while not equipped with 3G network and only has 8GB of internal memory. attendance Kindle Fire able to shake the dominance of the iPad. Kindle Fire with modest specs sold $ 199 instantly became the benchmark price of tablets in its class. Many vendors recalculate Tablet production costs and efficiency that can be pressed to tablets price under $ 200. The presence of Google's Nexus 7, a 7-inch tablet that Google made with more sophisticated specifications provide inspiration for many electronics companies to participate in producing tablets based on Android operating system. From then on the Android Tablet market began to grow and develop rapidly. Compared to pay operating system, Android is an open operating system that does continuous updates. Android tablets can also be designed with low production costs to enter the market segment. Android provides the opportunity for all users in all market gap. Tablet prices for classes above 7-inch screen is also experiencing a revolution, because now the consumer assumes all tablets have the same technology and adequate. The problem facing manufacturers is designing Tablet with production costs as low as possible in order tablets can be sold cheaper. Due to Choose the best cheaps Android Tablet among many tablets that are sold cheap, now it becomes difficult to do. You're more likely to make a choice if you know your exact requirements and generally get to know the specifications Tablet. Make sure first, do you need a tablet with a screen size of 7 inches or 10 inches? This option is individualized according to the needs of the user, whether you use your tablet while traveling? So you need more than the 3G network with Wi-Fi. You also need a 7 inch tablet compared to 10-inch tablet, because it is easier to carry and put in a small bag. For now tablet with 7-inch (17.8 cm) or 10.1-inch (25.7 cm) typically have a resolution of 1280 x 800 pixels. This resolution by default is to display an image that is sharp enough. Unless Google Nexus 10 with 10.1-inch screen but has twice the resolution of 2560 x 1600, and the Asus Transformer Pad Infinity with 10.1-inch screen has a resolution of 1920 x 1200. If you often save a lot of large files, then you need a tablet that has an internal memory of 8 GB on top. Although many Tablet offers a selection of internal memory of 8 GB or 16 GB, some tablet offers 32GB of internal memory up to 64GB with a more expensive price. The solution is to choose a tablet that is equipped with a card slot for additional memory. Check the battery life of tablets, how long it will be used. In general, Tablet offers a battery life of up to 8 hours. Lifetime of the battery is also dependent on the use of any tablet that is inividual, but it is not possible within a day you use a Tablet continuously for up to 8 hours. Last tips for "Choose the best cheaps Android Tablet" is sure to pick Tablet with famous brands, although they might Tablet prices are still more expensive than the company made new electronic tablet, but the tablet quality is guaranteed. Because of the large companies, they have to maintain a reputation in the tablet market. Android Tablets cheap and quality that you can easily find in the electronics market with the names: Kindle Fire HD, Google Nexus, Samsung Galaxy. If you are interested in Android tablets from other brands, optimize your choice - compare specifications and prices first with the three brands.